The table belongs to the chromosome family dining tables. Chromosome X, draws its inspiration from chromosome X and its importance in determining genetically female gender. A Dining Table designed to provide seating for eight people, who interact in arrow arrangement. The top is an abstract X, made of two different pieces accentuated by a deep line, while the same abstract X is reflected on the floor with the base structure. The white structure is made of three different pieces for easy assempling and transportation. Moreover, the contrast of teak veneer of the top and white for the base was selected to lighten the lower part giving more emphasis on the top. The X shape of the top and the reflected X shape of the base, deviate from common rectangularly shaped tops providing a hint for different interaction of the people that are sitting around. They interact not opposite to each other but in V arrows. It was assigned to the office as a project in June 2012, and was assempled in customers location in July 2012. 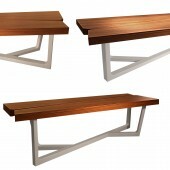 The structure is lacquered wood for the legs, and pressed teak veneers for the top. 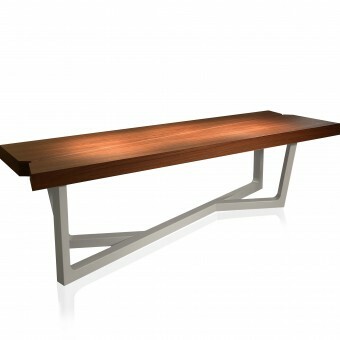 The table is 3200 mm length, 100mm depth, 750 mm height. 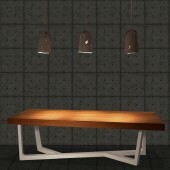 It comprises three pieces for the base structure, made of white lacquered wood RAL 9016. The main part has vertical supports fixed in 90 degrees, and the other two vertical supports in wide angle for better structure. 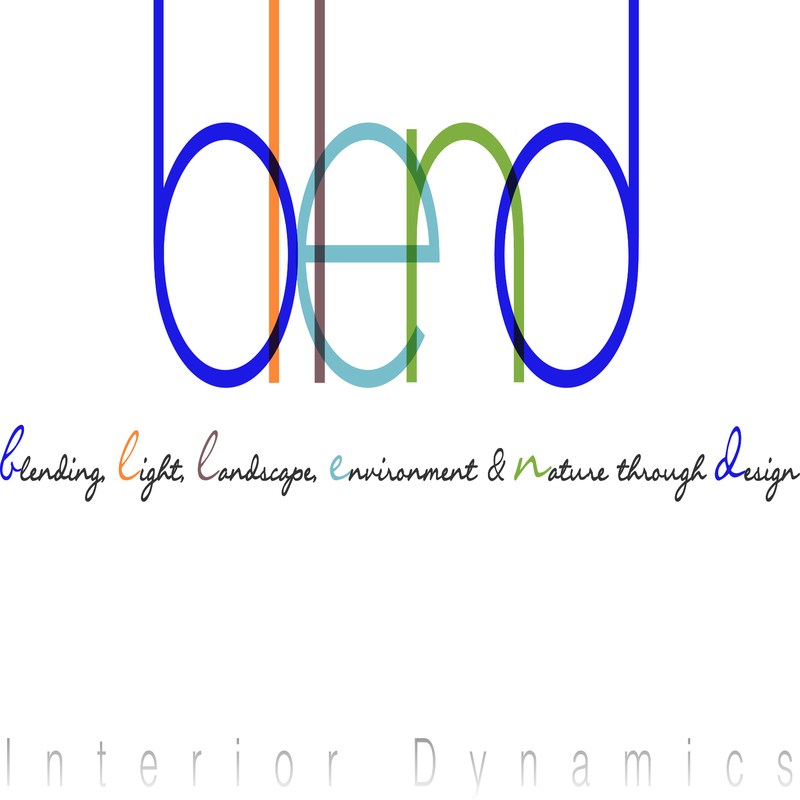 Research was conducted for irregular shapes in dining tables and more sculptural forms in leg or base structures. The choice of Chromosome X, is that it gives an interesting shape while the dominant chromosomes X indicate vital differences in gender, respecting the difference. Desire for a sculptural value to this piece of furniture . Potential to provide seating from eight to 12 people. Perfect match with dark wood or flooring material. A top that would be treated naturally with bees wax to be protected from stain, and not varnished with chemicals and VOC emitting substances. 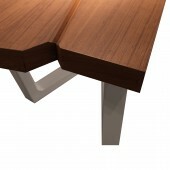 Chromosome X Dining Table by Helen Brasinika is a Nominee in Furniture, Decorative Items and Homeware Design Category. Chromosome X Dining Table by Helen Brasinika is Winner in Furniture, Decorative Items and Homeware Design Category, 2012 - 2013. Did you like Helen Brasinika's Furniture Design? 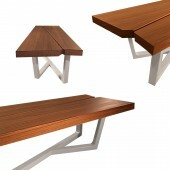 Did you like Chromosome X Dining Table? Help us create a global awareness for good furniture design worldwide. Show your support for Helen Brasinika, the creator of great furniture design by gifting them a nomination ticket so that we could promote more of their great furniture designs.